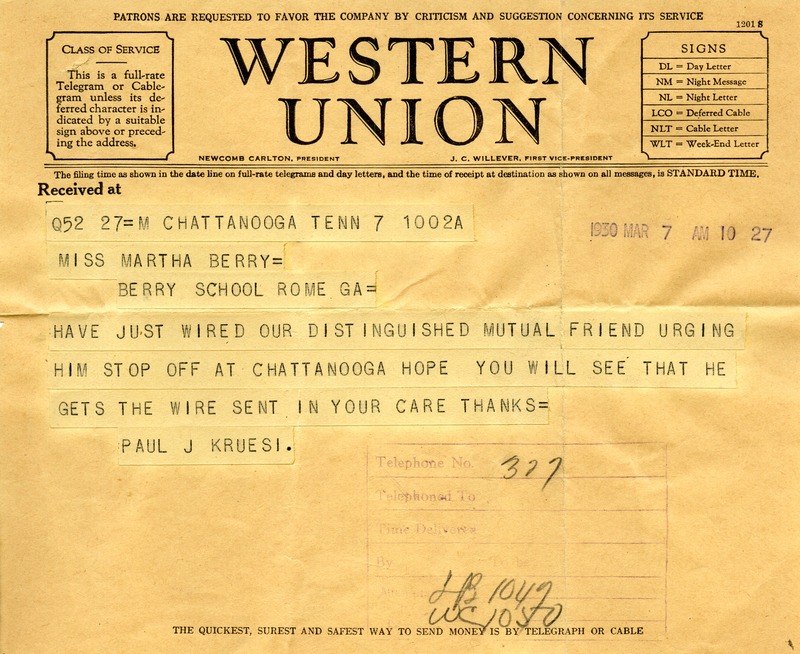 Paul J. Kruesi, “Telegraph to Martha Berry from Paul J. Kruesi.” Martha Berry Digital Archive. Eds. Schlitz, Stephanie A., Jordan Brannen, Olivia Mund, Cameron Atwood, Meg Ratliff, et al. Mount Berry: Berry College, 2013. accessed April 24, 2019, https://mbda.berry.edu/items/show/13119.